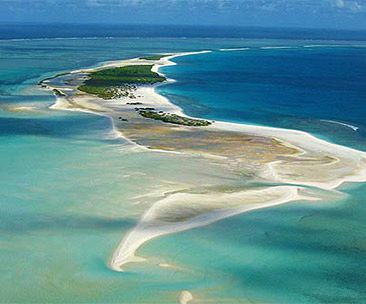 St Brandon (Saint Brandon), also known as Cargados Carajos Shoals, is a group of over 50 islands, coral ridges and vast sand flats on an extended reef in the Indian Ocean, situated 268 nautical miles north east of Mauritius. Classified as a dependency of Mauritius, St Brandon is part of the Mascarene Islands. St Brandon is cut by three major passes and extends 50 km from north to south and 5 km wide. The reef area is 190 km2. 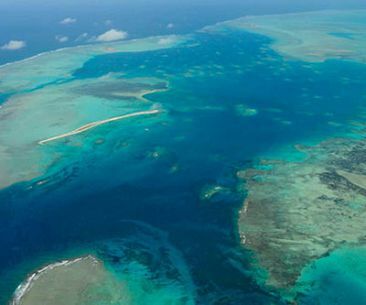 It has perhaps the largest algal ridge (a structure formed by coralline algae on a coral reef) in the Indian Ocean. There are indeed very few places on Earth left that modernization has not been able to touch. Man has re-visualized creation and redefined the physiographic of several places, suiting them to his ever-changing needs and desires. St Brandon is one of those rare places to have escaped this transformation. Upheld in its natural state, its uniqueness embraced in its originality, St Brandon is a piece of Paradise that seems to have preserved itself for the angels to pull away. Remnants of its biological past testify the minimum human interaction on the island. There is a small transient population of Creole natives consisting mostly of fishermen, the majority of which living in Raphael village (situated on ilot Raphael). In the past, Cargados Carajos (St Brandon) was a large, volcanic island. Over time, the sea played its trick and the island was eroded. This continued until it became submerged and a coral atoll was left behind. The lagoon enclosed by this atoll may be the greatest bonefishing destination in the world today. Rumors have it that the atoll may have been first discovered by Arabian sailors, and named later by Portuguese ones. Benefiting from its hidden location, pirates have once used the islands as their haven. Rich in flora and fauna, St Brandon benefits from its own magical Nature. The islands are covered with white granular sand from eroded coral and a thick layer of guano can be found in most places. Almost deserted, the islands’ beaches are a favourite place for sea turtles to lay their eggs. Coconut trees can be found on few of the Saint Brandon islands as well as bushes and grass. The coral reefs and the lobster infested outer reefs have remained in perfect condition. This archipelago has a huge range of marine biodiversity, including crayfish and octopus. The magnet of attention is Albatross Island which is the largest of the St Brandon islands and a real birds’ sanctuary. Protected from marine predators in one of the most hostile marine environments and a pass that can be accessed by real monsters of the sea, Albatross has proudly preserved its reputation. All day long, thousands of birds compete for every inch of an area to be able to stay on this island. Among the birds, you can expect the “ye-ye”, the “virgin” and the “makoa”. Each of the islands of St Brandon has some special characteristics. Albatross Island is the highest (highest point being 6 m above sea level) and the largest of the islands in the group, with an area of 1.01 km2, followed by Raphael, Avocaré, Cocos Island and Île du Sud. Geographically a separate single coral island, it is located about 18 km north. The main settlement is on Raphael, living by the rhythm of the waves and winds. A privately owned fishing station (with an estimated 35 employees), a coast guard and a meteorological station (of a tiny group of residents) inhabit this island. The principal base for fishing activities carried out in this area of the Indian Ocean is on this small, yet, abundant island, hence reinforcing the need for its conservation. Smaller settlements exist on Avocaré, Cocos, and île du Sud, while the settlement on Albatross was abandoned in 1988. L’île du Sud, as its name suggest, lies at the southern entrance of the archipelago. It is this particular location which will give you the impression that l’île du Sud has assumed the role of Cerberus, the mythical three-headed dog, safely guarding the group of islands from outside dangers. Between l’île du Sud and l’île Raphaël, an important economic base of the region, is found l’île Coco on the West. L’île Coco distinguishes itself by the pristine white nature of its beaches. The infrastructures scattered on this island, among which you will find rails, are all signs of a glorious past. Not wanting to compromise its rich and pristine ecosystem, the government of Mauritius is opting for a development line closely aligned to that of conservation. For many years foreigners were restricted from visiting St Brandon’s shores; fortunately now, access has been allowed for only a few operators. Fishing being practiced only up to the ‘green ceiling’, it is only recently that ecotourism has been introduced on the islands. Today, several activities such as fishing, diving, bird watching, snorkeling trips and eco friendly sailing cruises to St Brandon are being offered to foreigners. Mauritius Attractions offers unique trips to St Brandon Island for discovering this hidden gem of Mauritius and enjoying various activities such as diving and fishing. The trips to St Brandon are ideal for those looking to do the extraordinary, discovering a true heaven on earth with various astonishing species and having a lifetime memorable experience. On-board a luxurious 50 feet catamaran you would head for about a 30 hours of sailing reaching the remote virgin island of St. Brandon for the best diving experience of your life. From blue turquoise lagoon, to passes, to sea cliffs to undiscovered sites, the underwater world of St Brandon has a lot to offer and to discover! Sharks, turtles and rays always come around with curiosity to observe divers. Welcome to new diving adventure in an uncharted destination! All the diving sites are very lively and colourful. In terms of tropical fauna, you will have the opportunity to discover Parrot fish, Trigger fish, the Babone which is a unique fish at St Brandon and some interesting species of nudibranch. Manta rays have been spotted in St Brandon, with chance you might come across this beautiful giant and inoffensive creature. Pelagic fish as big tuna, king fish, barracudas are common on all dives. St. Brandon is a true fishing heaven! 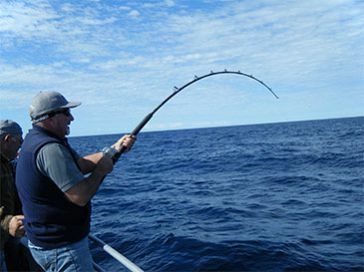 When fishing at St. Brandon you are sure to target various species and to have a once in a life time fishing experience. It is going to be the most spectacular bonefishing experience you will ever encounter! Most tides anglers can expect to see shoals of these shallow water speedsters. Over the past season we have landed Bonefish of up to 87cm fork length and weighing 15lbs. St Brandon’s is also the most productive Indo-Pacific Permit fishery witnessed. When specifically targeting these gloriously finicky fish, guests can have multiple shots per day. The GT fishing can be quite varied. Some days you can see over 100 fish and at other times none at all. St Brandon’s isn’t a place where you are going to get shots at GT’s everyday but it is certainly the place to break the 100 cm mark.